Florida renters insurance protects you from personal loss and liability. 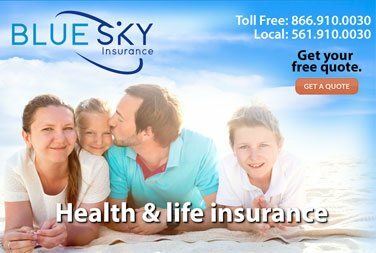 Ask about the variety of policies and low rates that Blue Sky Insurance agency in Boca Raton offers. 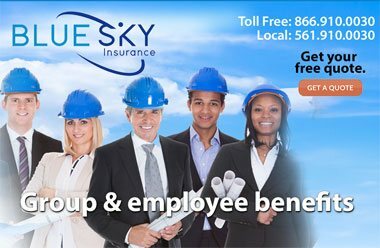 Renters is a form of insurance that covers a policyholder’s belongings against perils such as fire, theft, windstorm, hail, explosion, vandalism, riots, and others. 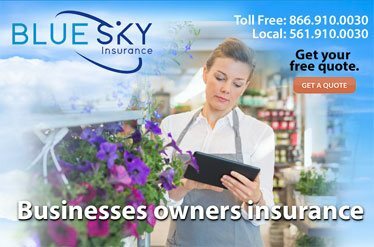 It also provides personal liability coverage for damage the policyholder or dependents cause to third parties. Renters insurance also provides additional living expenses, known as loss-of-use coverage, if a policyholder must move while his or her dwelling is repaired. It also can include coverage for property improvements. Possessions can be covered for their replacement cost or the actual cash value that includes depreciation. Replacement cost on contents is included. Rental dwelling becomes uninhabitable due to a covered loss. 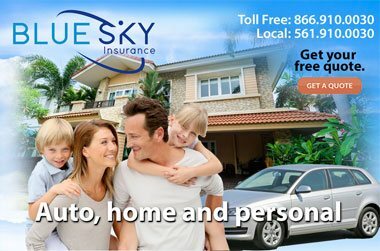 Talk to a broker at Blue Sky Insurance agency in Boca Raton to learn about the polices we offer to insure the home you rent and it contents. If you are renting, use our online renters insurance calculator for Florida residents.